This section contains helpful information as you prepare for travel to Istria. The topics are listed alphabetically. Various types of accommodations are available, including local houses, hostels, apartments, hotels, villas, and camps. Most hotels are near the beach, with the best prices available online. For a stay in a local house, check with city tourist offices that have access to many rooms available for rent by locals. See Chapters 4 to 10 for accommodation recommendations and Chapter 39 for recommended websites on booking accommodations. Restrictions about what you can carry on the plane are always changing. Visit Transportation Security Administration (www.tsa.gov) for the latest information on what you can bring, what you should check in your luggage, and what you can carry onto the plane with you. Banks are usually the best place to exchange currency. Also check with currency exchange offices which often have most competitive rates. Most banks are open from Monday to Friday 9 a.m. to 4 p.m. Banks are closed on weekends and national holidays. When banks are closed, you can find ATMs in most cities. Istria has a well-connected bus service to coastal towns and major interior towns, but to visit inland villages you’ll need a car. Autotrans (www.autotrans.hr) lists arrival and departure times for buses throughout Istria and also offers online booking. If you’re arriving to Istria from the western direction, you’ll cross the border to Istria through Slovenia on one of the three main border crossings: Dragonja, Secovlje, or Socerga. Dragonja (https://goo.gl/maps/6H89ffaDwkP2) border crossing on the Koper – Smarje – Dragonja is the most popular and the busiest. Secovlje (https://goo.gl/maps/dRcAt7TXgdT2) border crossing on the Portoroz – Secovlje road is somewhat less visited and less busy. Alternatively, some drivers also choose to go through the Socerga (https://goo.gl/maps/uGfcz3tNLFA2) border crossing on the Gracisce – Socerga road which is least busy but farther from the main roads. HAK (www.hak.hr/en; Croatian Automobile Club) is the best source of traffic and road conditions. Stores are generally open Monday to Friday 9 a.m. to 6 p.m., Saturday 9 a.m. to 3 p.m., and are frequently closed on Sundays. Most have longer hours in the summer. If you have an accident, place a warning triangle 30 m (33 yd) behind the car and call the police. A reflector jacket is required at night or during poor visibility. Exchange names, addresses, phone numbers, and insurance information with other driver(s) involved. A police report needs to be submitted to the rental and insurance companies. If there’s an injury, seek medical assistance. If you are driving a rental car, call the emergency number of the rental company. For emergencies, dial 112 throughout Croatia. For police, dial 192. Fines for speeding and other road violations are often required to be paid on the spot. Get a receipt. If you don’t have cash on you, you’ll be taken to a bank. If you don’t have cash and don’t have a bank card, your car will likely be impounded until you pay the fines. Comprehensive insurance is advisable. If renting a car, supplemental insurance is also recommended to reduce or eliminate your deductible costs in case of an accident or damage to the car. Check with car rental companies about any additional fees. More information about car insurance is available at www.huo.hr/eng. You typically won’t need a special border crossing card or additional insurance in order to enter Croatia from Italy or Slovenia. You will need to purchase a vignette in order to drive on all Slovenian motorways and expressways. Cost of a weekly vignette is €7.50 and €30 for half-year vignette. Additional information about Slovenian vignettes is available at www.dars.si. Use of headlights is required at all times, except during summer when they do not have to be turned on until dark. High-beam headlights can only be used outside cities and towns. There are many car rental offices throughout Istria and nearby airports, with many types of vehicles to choose from, ranging from inexpensive compact cars to expensive luxury vehicles. Renting a car with an automatic transmission is about 50% more expensive than renting a car with a manual transmission. You can get better rates and better selection by booking online before your arrival. To rent a car, you’ll need to be 21 years or older, have a valid driver’s license, and a credit card. Fees assessed for different pickup and drop-off locations are very high, especially when crossing country borders. Ask your car rental company for the most up-to-date information on local, national, and international regulations, policies, and fees. Car rental companies in Istria: www.istra.hr/en/planning-your-travel-and-stay/useful-information/road-traffic/0-ch-3. Children smaller than 135 cm (53 in) are required to sit in the children car seats in the back. Children must be taller than 150 cm (59 in) to sit in the front. These regulations also apply to taxis. Istria is not as inexpensive as it was just few years ago. These days, the prices are comparable to other European countries, although not as expensive as Italy or other popular tourist destinations. Credit cards are accepted nearly everywhere but bring cash for better bargains. Call your credit card company ahead of your travel to let them know the countries you’ll be visiting so that your charges don’t get declined while traveling. A Capital One credit card doesn’t have international fees and I recommend getting it, or a similar credit card without international fees, for your travels. Price negotiations are common with private vendors so you may get a better deal if you ask for it. Have cash to get the best price. The Croatian currency is the Kuna. The exchange rate at the time of publication is around 6 Kunas per USD. Croatia is expected to transition to the Euro (€) currency as its official currency in 2019. Travelers’ allowances for Croatia are the same as other EU countries. The duty free allowance is $800 per person once every 30 days. The rest is taxed at 3%. A number of goods are prohibited from import, including cheeses, fruits, vegetables, meat, and illegal drugs. Prior to your trip, make copies of all your documents and store them in a safe place when traveling. As another backup, scan all your documents and store them on Dropbox (free) or Google Drive (free) in case your luggage is lost. Visitors driving their own vehicles registered in their respective countries must be at least 18 years of age and must carry vehicle registration, proof of insurance, and a valid driver’s license. Third party insurance is required. It’s also recommended that you obtain an International Driving Permit (IDP) from AAA. In Croatia, the permitted blood-alcohol level is 0.05% (this is less than 1 drink per hour) for adults and 0.00% for anyone under 24. If you drink, don’t drive. Traffic rules follow the Geneva Convention and use international road signs. Drive on the right side of the road, pass on the left, and give way at intersections to vehicles coming from your right. Some drivers in Croatia drive fast and cross over middle lines of the road which can be particularly dangerous around blind turns. Exercise caution and stay alert when driving. Make use of the Istria Trip Google maps. You can also save your directions for offline use when on the road. 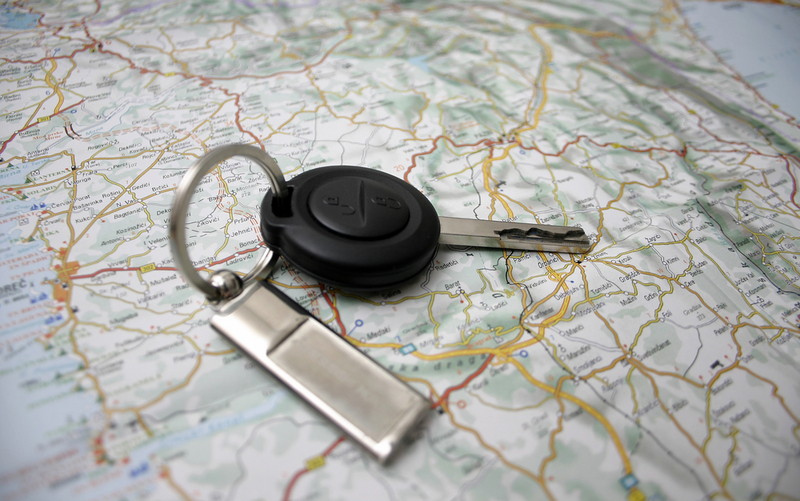 GPS devices are available for rent at nearly all car rental offices. If you prefer a paper map, download this high resolution map from Istria Tourist Board: www.istra.hr/.app/upl_files/KartaIstre.pdf. This map is also available at tourist offices throughout Istria. The current is 220 volts AC. Plugs have two round pins. For most electronic devices, you’ll only need to buy the plug add-on (~1 USD) since they already have an internal voltage converter. For other devices, buy a voltage transformer before you leave. All embassies in Croatia are located in Zagreb. The US embassy is at 2 Thomas Jefferson Street, 10010 Zagreb (https://goo.gl/maps/7qEqQbeg7s12) and they can be contacted at 385-1-661-2200. Their website is http://zagreb.usembassy.gov. The British embassy is at Ul. Ivana Lucica 4, 10000 Zagreb (https://goo.gl/maps/jdMeiBhURKC2) and can be contacted at 385-1-600-9100. Their website is http://ukincroatia.fco.gov.uk/en. Emergency road help with advice in English is available by dialing 987. The only document required for US citizens is a passport for any stay up to 90 days. If your passport is due to expire within 3 to 6 months of your ticketed date of return, you may be denied entry. It can take up to two months to get a new passport so renew your passport early. Make a copy of your passport or store a copy online in case it is lost or stolen. EU citizens need only a visitor’s card. Check regulations before you travel. Car rentals are permitted on Croatian car ferries. Rental cars cannot be taken across to Italy by ferry. Valid registration papers are required for international ferries. Book your car ferry tickets in advance because they're often sold out. You can buy tickets at Jadrolinija’s website (www.jadrolinija.hr). Festivals take place in Istria throughout the year. In addition, every city has a patron saint and each one marks its saint’s day with special celebrations. For the most current listing of events in Istria, visit www.istra.hr/en/attractions-and-activities/events. Most Istrian beaches are pebbly or rocky. This is great for the color of beaches and your ability to see through water but not so great for walking under water. Sea urchins are also common. I suggest that you buy a pair of water shoes. Most cars in Istria use diesel, not gasoline (petrol, octane). Make sure to pump the correct type of fuel. If you pump the wrong type of fuel, you can have your gas tank drained for €100. Fuel is very expensive (over 1€ per L). Highways have 24-hour fuel stations. Croatia has eight main airports. They are located at Zagreb, Pula, Rijeka, Split, Dubrovnik, Zadar, Osijek and Brac. Five of them serve international flights: Zagreb, Pula, Rijeka, Split, Zadar, and Dubrovnik. The main international airport in Croatia is the Zagreb Airport. Istria’s main airport is Pula (https://goo.gl/maps/YaBvwT48jut). Slovenia's main airport is in Brnik, 25 kilometers from Ljubljana, the capital of Slovenia. Several foreign carriers fly from the airport but the largest number of flights are operated by Slovenia's only airline, Adria Airways. Portoroz is Slovenia's second international airport. Maribor airport has only national flights. You can also fly into Italy at the International airports of Venice or Trieste. Trieste is closer to Croatia but Venice has more flight options with arrivals from more destinations. You can rent a car at all of these airports. Make sure to reserve online before the trip to get the best prices. Trains from the continent arrive at Koper (Slovenia). A great resource on travel by train is available at www.find-croatia.com/railways/railway-train-map-croatia.html. Getting to Croatia by car from Europe is easy. Entry places to Croatia can be found at www.cromaps.com/granicni-prijelazi. If coming by air, you have an option to bring your car with you. The cost is typically similar to your air ticket. Note that the car arrives by ship so you’ll need to send your car 4-6 weeks prior to arrival. Renting the car at the airport is often your cheapest option, especially when booked together with airfare. There are ferry connections between Croatia and Italy: Ancona – Split/Stari Grad/Zadar/Hvar; Venezia – Lussino/Porec/Pula/Umag/Rovinj/Rabac; Bari – Dubrovnik. An easy-to-use ferry directory is available at www.ferryto.com.hr. In addition, there are many connections between mainland Croatia and offshore islands. Jadrolinija is the most economical way to go island hopping. Book in advance as they sell out quickly during the summer. Istria is safe and you’re encouraged to explore on your own. There are many travel agencies available if you prefer to travel with a guide. Croatia is a member of the EU and has reciprocal health agreements with other EU member states. Comprehensive health insurance is recommended for all others. Check with your medical insurance about what’s covered and what’s needed for reimbursement in case of medical care. Mosquitoes can be a nuisance during the summer months, especially in camps. Wear insect repellent as needed. Beware - internet charges on your mobile phone can add up quickly when using your home mobile device in Istria. You can buy a prepaid SIM card (e.g., www.tourist.bonbon.hr) to put in your mobile phone to save money. For only €10, you'll receive around 4GB of data to use within a month. Also, most cities have free WiFi available throughout the city. If a city WiFi is not available, you can get free WiFi from cafes and restaurants. My favorite way to access the internet in Istria is with the RoamFree Ninja (https://roamfree.ninja) WiFi hotspot (pocket sized device), which is inexpensive (about €8/day), provides great internet speeds, and allows connections for up to 10 devices simultaneously. Stinging jellyfish can be found in the water and are also sometimes washed up on the shore. Sea urchins, known for their porcupine-like spines, are also often found in water. Stepping on them can be painful. Pouring olive oil in the area around the spine will help with spine removal. Wear water sandals when you can and be careful where you step when walking barefoot. Consult a medical doctor when concerned with any medical incidents. Croatian is the official language in Croatia. Most people in Istria also speak Italian and English, although there are many, including in smaller villages, who only speak Croatian. In restaurants and stores, you won’t have any problems communicating in English, Italian, or German. Learn a few words in Croatian. Download the Google translate app to translate on the go. The app works with a microphone as well. Post offices are open from 9 a.m. to 5 p.m. on weekdays. Sending postcards is inexpensive. Stamps can be purchased at post offices and at many shops that sell postcards. Croatia uses the metric system of meters, kilograms, liters, etc. Voltage is 220 volts and plugs have European prongs. Most cities have 24-hour emergency services. Some cities share hospitals and you may have to be transported to a hospital in a nearby city for advanced medical services such as surgery. The doctor’s fees are typically paid in cash. Dental work is popular in Istria because it’s still relatively inexpensive compared to Europe and US. The quality is comparable to dental work elsewhere in Europe. For most up to date information on vaccinations and health tips when traveling, visit the U.S. Centers for Disease Control and Prevention (CDC) website for Health Information for Travelers to Croatia. It is illegal to drive and talk on your cell phone without a hands-free kit. Bring some cash with you. This is your emergency stash. Small denominations work best. For everything else, use your credit cards. Visa and MasterCard are accepted nearly everywhere. Debit cards are also accepted in most places. Check with your banks about transaction fees. When withdrawing money from ATMs, take out large amounts so that you minimize the fees associated with withdrawals. In case you lose your credit cards, call your credit card’s international number (you can call collect) or these general numbers: Visa (410-581-9994); Master Card (636-722-7111); and American Express (623-492-8427). Take pictures of your credit cards and store them for use in an emergency. Banks often provide the best money exchange rates but compare rates since they vary between banks. Also check the exchange rates with currency exchange offices which often have competitive rates. Don’t bring travelers checks. They are cumbersome to cash and have many fees associated with them. You must wear a helmet when driving a motorcycle. The most popular Croatian newspapers are Vecernji List (www.vecernji.hr), Glas Istre (www.glasistre.hr), and Jutarnji (www.jutarnji.hr). You can find nearly every local newspaper in the cafes. Instead of buying a newspaper, order an espresso and read the newspaper for free. The most popular English versions are Croatia Week (www.croatiaweek.com) and Total Croatia News (www.total-croatia-news.com). For news in English, International Herald Tribune (http://international.nytimes.com), the global edition of The New York Times, is published almost daily throughout Europe. Two other great news sites for international news in English are www.EuropeanTimes.com and www.bbc.com/news. Parking in city centers is difficult since the historic old towns were not built to accommodate vehicles. Park outside the city center in parking lots and garages for lower parking fees. For some hotels in city districts, you may be required to obtain a special parking permit from your hotel. Park in areas with white lines and a big 'P' sign. Yellow dots mean parking for disabled only. Parking elsewhere might get your car towed even if there are no signs informing you not to park there. During your visit to Istria, you may fall in love with a destination and may decide to buy a vacation or investment property there. If you need assistance with buying or selling real estate in Istria, please contact me directly with any questions you might have. I use Google Maps when traveling in Istria. My favorite paper map is the AA Road Atlas Croatia. Regional maps are also valuable for local exploring. HAK provides an excellent electronic map on its website (www.hak.hr/en). HAK also has a free mobile app. Michelin maps and route planner is also a popular resource (www.viamichelin.com). If you prefer a paper map, download this high resolution map from Istria Tourist Board: www.istra.hr/.app/upl_files/KartaIstre.pdf. These maps are also available at tourist offices throughout Istria. Roads and toll roads are in great condition and easy to navigate. There are signs everywhere helping you get from city to city and between different parts of cities. Tailgating is common during summer months when streets become congested with tourists. Croatia conforms to the International Road Signs standards. Some road signs differ between countries so it is important to familiarize yourself with the country road signs. A comprehensive guide to Croatian road signs is accessible at www.adcidl.com/pdf/Croatian-Road-Traffic-Signs.pdf. Sales tax is 25% in Croatia. The sales tax is included in the price that you pay. As a tourist, you can get most of that tax back if you make a purchase of more than €50 at a store that participates in VAT services. When you make a purchase, get the VAT paperwork that is required to process your VAT refund with the customs agent at the airport. Once you get those stamps, you can process your refund with Global Refund offices or Premier Tax Free. Most major satellite navigation devices, such as TomTom and Garmin, include maps of Istria. Most car rental offices offer GPS devices for rent. Wearing of seatbelts is required in all seats where they are installed. Baby car seats and children car seats are also required. Many car companies have them available for rent. Major crimes are rare in Istria. Petty crime, however, is present as in any other country, especially in inner-city and tourist areas. Avoid carrying backpacks and money belts which are easy targets. Also avoid leaving valuables on the shore while going for a swim. Sightseeing and entertainment is not expensive. Most events are free, and paid events range from €3 - €20. Most popular sightseeing venues rent audio guides to learn more about the landmark. They’re typically about €5. You can also hire private guides for about €20/hour. This is a great value if you get others to join you on your tour. If you’re over 18, you can smoke and drink. Smoking in public places is very common as many locals smoke. However, as in other countries in Europe, smoking is increasingly restricted indoors. Local wine and alcohol is excellent and inexpensive. In a restaurant, a good bottle of Istrian wine costs €10 to €20. Croatian local beers cost €2 to €3 for 0.5 L (17 oz). Prices vary depending on location and restaurant. Prices in supermarkets are about half of what you’d pay in a restaurant. The speed limit is 50 kph (31 mph) on built roads, 90kph (55mph) on open roads, 110kph (68mph) on main roads, and 130kph (80mph) on highways. The sun can be intense in Istria. Sunscreen is suggested at all times, especially from 11 a.m. to 2 p.m. when the sun is at its peak. Drink plenty of liquids to stay hydrated and seek shade when possible. The country code for Croatia is +385. To call abroad, dial 00, then the country code, followed by the city code then the number. For example, to call U.S., you would call 00-1-222-222-2222. For mobile phones, you can also substitute + for 00. To call the same number from before, you would dial +1-222-222-2222. Hotels typically add surcharges to calls from rooms. If you have a GSM-ready phone, you can buy a prepaid SIM card for your phone. Calls to outside of the country are still expensive, although prices for calls and internet have recently become more reasonable. You can call for free if you can find a Wi-Fi connection. If you have a smart mobile device, you can use apps such as Skype, Viber, WhatsApp, Facebook, and Google to make free calls and send free messages. Local standard time is one hour ahead of Greenwich Mean Time (GMT). Check the time for any city at www.timeanddate.com/worldclock. Tipping is not required since waiters are paid a full wage. However, tipping is always appreciated and will get you a better service especially if you plan on visiting the place often. If you decide to leave a tip, 5-10 percent is considered generous. If you’ll be visiting a local cafe every morning, leave a one-time tip with the morning waiter for excellent service during the entire stay. Istria has only one toll road: Istrian Y. You can purchase a motorway toll card from motorway tollbooths. You can also pay as you go in local currency (kuna) or with credit card. The pricelist for toll roads is available at http://bina-istra.com/Default.aspx?sid=2314. The A1 Motorway is the longest in Croatia, connecting major cities on the Adriatic coast. It’s also free and the most scenic road in Croatia. Before taking a trip, contact the Istria Tourist Board for maps, guides, and other useful brochures. They can also be downloaded at www.istra.hr/en. Most towns in Istria have a tourist information office in the town center where you can pick up brochures and maps. Road traffic info is provided 24 hours a day by HAK on their website (www.hak.hr/en) and via 041 415 800. Traffic information in English is available at 98.5FM during the tourist season. Travel agents can save you time and money by getting you the best airfare and accommodations. They can also arrange for rental cars and other activities. If you need assistance with any travel arrangements, please contact me directly so that I can put you in contact with our partners. Travel insurance is generally a good idea. It typically costs 5-10 percent of your total trip. Compare the costs and your tolerance for risk to make a decision on whether to buy travel insurance. I recommend www.insuremytrip.com for comparison shopping. Many credit cards provide some travel insurance with all your purchases (e.g., lost luggage, delayed flights, death, etc). The coverage is limited but it’s free. Check with your credit card company for more information about their coverage. The Croatia and Istria tourist information Boards are a wealth of news and information. Visit the Croatian National Tourist Board at www.croatia.hr and the Istria Tourist Board at www.istra.hr/en. In an emergency, dial 112. For directory assistance, dial 11888. Also see Chapter 39 for additional resources. Visa regulations are different for various countries. For those from the U.S. or the E.U., no visa is required. Warning triangles must be used in the event of an accident, breakdown, or when stopped on a road in fog, on a curve, or on a hill. The triangle must be placed no less than 30 m (33 yd) behind the vehicle. Istria has a pleasant Mediterranean climate with mild winters and dry, warm summers. Temperatures in June, July, and August are typically in the high 80s F (~30 C) to low 90s F (~35 C). Winters are mild and it rarely snows. Fall and spring are pleasant. Visit Weather Underground at www.wunderground.com for 40-year historical daily averages for any city in the world. Rainfall increases from the west coast towards the interior. Characteristic winds are bura, jugo and maestral. Bura is a cold wind that descents from coastal mountains and moves towards the sea. Bura blows in gusts, can come unexpectedly and severely, and can be dangerous if you’re on the sea, especially on a small boat. Jugo is a south-easterly wind that brings clouds and rain. Unlike Bura, Jugo is a developing wind that gradually gains strength over few days. Mild maestral (also known as mistral) is a mild wind that blows in the summer, from the sea to the continent, bringing a nice breeze. Maestral is frequent from spring to autumn and strongest in July and August. There are no hurricanes in Istria. Bring your driver’s license, a voltage converter, and any medications. Also bring good walking shoes so you’re comfortable exploring the cities, the hiking trails, and the beaches. The most popular months to travel are June through September. July and August are peak season. August is the busiest month since most of Europe is on summer holiday during the month of August. Everything is open late and the crowds are at their peak. Expect to pay the highest prices during this popular season. May through June, and September through October are the best times to travel. In May and June, the weather is warm enough to go sun bathing and stay in the more expensive hotels without paying top dollar. September and October are great for swimming because the water is still warm and most of the tourists have departed for home. For road trips, May to June and September to October are your best options because the roads are not overcrowded. Other months are off-peak months. Many establishments in small towns close until May. Those that stay open are open only during limited hours. In larger towns, most places stay open during the entire year. Istria is best known for wine, olive oil, truffles, Istrian prosciutto (dry-cured ham), oysters and seafood, sheep and goat cheeses, and seasonal vegetables and fruits. Istria offer delicious food for reasonable prices, especially if you go off the tourist strip. Istria cuisine reflects the cultures that have influenced it over the course of history. Coastal cuisine is typically Mediterranean with a lot of olive oil, garlic, herbs, and fish. Some of the most popular dishes of Blue Istria include brodet (fish stew), clam buzara (clams with shellfish sauce sautéed with white wine, olive oil, tomato, garlic, and other ingredients), scampi buzara (scampi stewed in a tomato and white wine sauce), fish soups, scallops, oysters, spider crab, sardines, scampi (known as “shrimp” in North America), and the many varieties of fish. Fresh, wild premium fish and shell fish are relatively expensive (as throughout Europe) and are typically priced by weight. Fresh, wild non premium fish (e.g. sardines, mackerel) and shell fish (e.g. mussels, clams) by contrast are cheap and usually first rate. Pizza is excellent wherever you go. Also popular are cevapcici (ground meat), pljeskavice (burgers), raznjici (pork grilled on skewer), and burek (pastry stuffed with cheese or meat). Cafes and bars range from modest to spectacular with terraces and beautiful views. Istria offers a wide variety of accommodations. You’ll find accommodation recommendations in Chapters 4 through 10. Private accommodations are typically the most inexpensive way to stay in Istria. You can rent an apartment or a room, often called a “sobe”. You can find a sobe simply by walking around and looking for signs on houses, or by visiting a tourist agency. The charges are in the €20-€30 per person range. In addition to being inexpensive, these private accommodations are a nice way of mingling with the locals. B&Bs are another popular option. Many residents offer bed and breakfast accommodations in their homes. The best of these can be a great buy, with the added experience of warm local hospitality. Most hotels are expensive, especially during the summer months. Prices range from €100-€250 in large hotels and €60-€120 in smaller hotels. Before accepting the room, make sure that you understand all the charges associated with the room. Camping is also popular in Istria, and there are plenty of sites on the coast where you can camp. Top camping sites for each town are covered in the book and Adriatic Road Trip Google Map (https://goo.gl/PpIlDE). If you’re traveling with a family, you can also rent a villa for few days or a week. There are over 3,000 private villas in Istria, most of them with private pools, which you can choose from at reasonable prices. It is best to book in advance if you plan on traveling in July and August. Reservations can often be booked online. Hotel rates are quoted per room. B&B rates are quoted per person. Villas are quoted per day or week. All guests to Istria must be registered with the police within 24 hours of arrival. This registration is done automatically by the accommodation where you’re staying. You must remember to register yourself if you’re staying at a relative’s or friend’s house. Failure to register could cause potential problems upon departure. For additional travel resources, see Chapter 39.